Free college for Boston students, an Alzheimer’s hope, weight loss in an (inflatable) pill, and more. 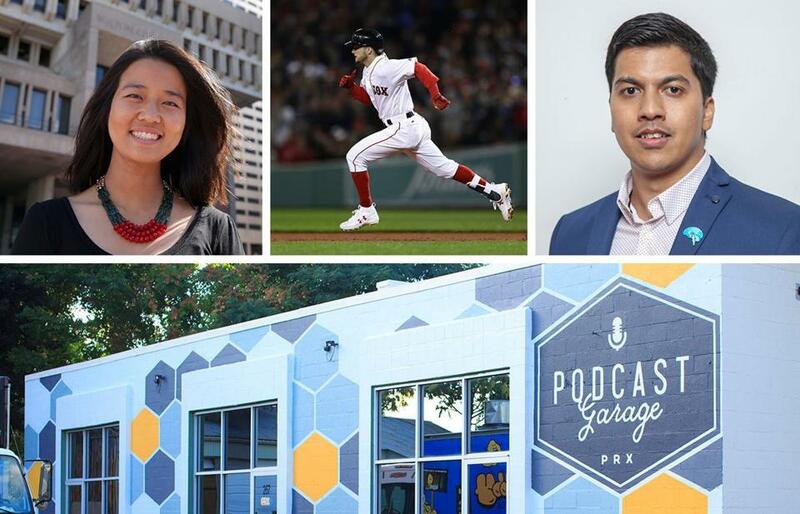 From top left: City Councilor Michelle Wu, Red Sox outfielder Andrew Benintendi, MIT researcher Dheeraj Roy, and the Podcast Garage. Sure, there was some muscle-memory braking in the first few weeks, but the replacement of the Mass. Pike tollbooths with an electronic automatic system generally went more smoothly than expected for commuters. Even the transponderless weren’t forced to slow down and hunt for change—a license-plate capture system simply sends a bill to their home address. The cost of that digital hunt, though, means higher prices for the late adopters. Finally, a righteous tax on the unthinkable inefficiency of forgoing E-ZPass. The new nonstop commuter rail service between Worcester and Boston—promising riders they’ll arrive in less than an hour—rolled out in May. While the inaugural trip deposited her at South Station four minutes late, Lieutenant Governor Karyn Polito said that she hopes the train will be a boon to Worcester businesses, adding fuel to the city’s ongoing renaissance. But it could also offer Boston something else it desperately needs: an affordable suburb. Weight-loss pills have long promised dramatic results, but Allurion’s product isn’t your average metabolism booster. The local firm developed a balloon that fits in a capsule, is swallowed by the user, and is then inflated via a tube when it reaches the stomach, giving the patient a sense of being full. 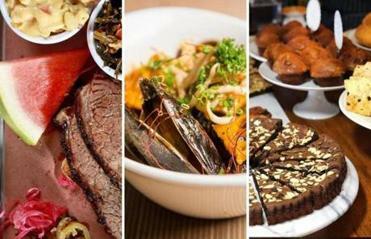 The balloon (which is not yet approved by the FDA), dissolves within four months and — in trials — users lost 10 percent of their body weight on average. On its face, year-round school might not sound appealing to your average high schooler. But Somerville education startup Sprout & Co. won a $10 million grant, one of just 10 nationwide, for a plan that forgoes both summer school and just about every other typical educational structure. Set to open in the next year or two in the old Powder House Community School on Broadway, the school will let its 150 to 200 new students focus on building long-term, community-based projects of their own making 12 months out of the year. Mayor Martin J. Walsh gave Boston public school seniors an early graduation gift, unveiling in April a plan to allow qualified city students the chance to attend Bunker Hill and Roxbury community colleges for free. By September, with 41 students already enrolled in the program, Walsh announced plans to expand the options to MassBay Community College and Quincy College. The Sox’ last-place finish in 2015 had a silver lining: the seventh overall pick in the draft. The Sox chose Benintendi, a polished college player who flew through the Sox system, making his debut with the team on the road in August — and endearing himself to fans by going 3 for 3 in his first game at Fenway. A knee sprain in September limited him to 118 plate appearances, but there’s a silver lining here, too: He’s an early favorite for 2017 Rookie of the Year. The Salem-born rapper released a full-length album that stayed on the iTunes hip-hop charts Top 10 for weeks, was nominated as a Best New Artist by the Boston Music Awards, and embarked on his first international tour—all before he turned 18 in September. But the feat that might have found its way to your Facebook feed: a six-minute rap on the influential hip-hop show Sway in the Morning that was so passionate it left one of the hosts in tears. Boston’s first artist-in-residence program kicked off in February, with three locals given $20,000 six-month stipends to develop a creative project in collaboration with a public department. Performing artist L’Merchie Frazier held poetry workshops and developed a movable art installation for women in recovery; violinist Shaw Pong Liu has led a musical collaboration between police and teen musicians; and video artist Georgie Friedman’s work included a monthlong installation that projected nature scenes on a blank brick wall in Uphams Corner in Dorchester. When her colleagues elected Wu president of the Boston City Council, she became the first woman of color to ever hold the position — just two years after becoming the first Asian-American woman to be elected a city councilor. Promising to make the city more inclusive in her inauguration speech, she’s been leading the Boston OneCard project, which would allow underserved communities to more easily access city services. Zigrino has come a long way from hosting informal comedy showcases in her Jamaica Plain apartment. After years of successfully navigating the standup circuit, the MassArt grad landed her first big role, playing a mall security guard in the bawdy Christmas movie Bad Santa 2—a role Jennifer Lawrence was reportedly also considered for. City Hall’s full turn from a Lehane-sketched political class to efficiency-minded technocrats was seemingly completed with the hiring of the city’s first chief data officer. Therriault, who has a PhD from New York University, previously built a data science operation for the Democratic National Committee from the ground up. As head of Boston’s Citywide Analytics Team, the Haverhill native keeps tabs on everything from racial diversity to traffic patterns and is working on predictive modeling—forecasting problems and fixing them before they end up in the news. What if the memories that Alzheimer’s disease seemed to erase were just simply lost — and there was a possibility they could be found? This is the promise of the work of MIT researcher Roy, the lead author on a study published in March that saw researchers “restore” lost memories to mice with Alzheimer’s symptoms. Roy was named one of the 30 Top Thinkers Under 30 in 2016 by Pacific Standard magazine for his efforts, which were inspired in part by his own grandmother’s struggles with the disease. The podcast revolution has found a home in Allston. With an estimated 57 million monthly podcast listeners in the United States alone, according to Edison Research — about the same number who use Twitter — the Podcast Garage on Western Avenue is aiming to serve the market by offering low-cost studio time (it works out to $1 per minute), instructional programming, and networking events. And it’s not just for indies. Launched by PRX — the distribution platform behind This American Life and other hits — the garage is hosting a series of boot camps for teams from five public broadcasting stations, each looking to propel the next Serial. The presidential election may not have turned out the way most of the state would have liked — only about a third of Massachusetts cast votes for President-elect Donald Trump — but the electorate seemed to enjoy the extra time. More than 30 percent of people in the state who voted this time around submitted early ballots in this first year of early voting, starting on October 24 — a full two weeks before Election Day. Harvard sociologist Matthew Desmond earned a MacArthur “genius grant” for his on-the-ground observations of the daily lives of the American poor. His work didn’t hit the mainstream until 2016, though, when he released Evicted, which profiles eight families on the brink of losing their homes. The book became a New York Times bestseller and was named one of the best books of the year by the Times, Globe, and Washington Post. Night Shift Brewing, founding member of Everett’s burgeoning Fermentation District of breweries and a distillery, started another revolution in 2016 when it launched its own distribution company, aptly named Night Shift Distributing. Unhappy with the state’s franchise law — which makes it almost impossible for a brewery to leave its distributor — as well as the perceived favoritism and pay-for-play by existing distributors, the four-year-old brewery spent $1 million to build the new operation, which it is running out of a Chelsea warehouse. In 2016, Jamie Goldstein launched a venture capital firm, Pillar, with a radical approach: Offer startup founders a fair shake. Typically, investors in a new company are given preferred stock—which insulates them financially (ahead of the company’s founders) should the business tank. But Pillar investors get common stock, same as the founders, making the stakes uniform. The we’re-all-in-this-together concept has attracted a veritable who’s who of local c-suiters to the investment team, including DraftKings CEO Jason Robins, TripAdvisor CEO Steve Kaufer, and Wayfair CEO Niraj Shah. Three months before Massachusetts voted to legalize recreational pot use, Boston’s first medical marijuana dispensary opened. The new shop, Patriot Care, is the seventh dispensary to open in the state and offers a menu of cookies and buds with craft beer-worthy names — Dreamweaver and Critical Mass among them — to the now more than 38,000 Massachusetts residents who are certified to buy medical marijuana. Correction: This story has been updated to clarify that Michelle Wu as the first Asian-American woman to be elected to Boston City Council.